Mindfulness Works is the largest providers of mindfulness training in Australasia. Every month over 600 people complete our exclusive four-week “Introduction to Mindfulness and Meditation” course. Mindfulness Works is committed to making mindfulness as accessible as possible with low-cost, practical, effective and non-religious beginners courses. 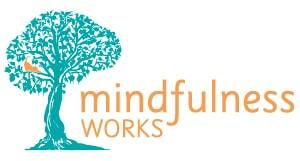 Mindfulness Works is looking for mindfulness trainers with formal qualifications and/or extensive mindfulness training experience to facilitate our introductory course as independent contractors. Please review our criteria to ensure you meet it before applying. We are also looking for trainers in areas outside these cities, where there is a population of 45,000 or more. Initial training in our course (not in mindfulness – you already know that!) at no cost to you. A way to generate a livelihood without having to rely on that big headache of marketing courses. The ability to offer sitting groups and follow-up courses (for example eight-week MBSR courses, MBCT courses) to attendees of the Introductory course. Support in promoting your sitting groups and follow-up courses. A lively, fresh, integrity-driven approach to mindfulness focussed on supporting our participants and us as trainers and highlighting accessibility and practicality. A bi-annual conference where all Mindfulness Works facilitators can come together to share best practice, experience, ideas and initiatives. A forum to exchange ideas with other facilitators and to design and offer other courses. Access to deliver other Mindfulness Works proprietary courses such as “An Introduction to Mindful Eating” and “Getting in the Zone: Mindfulness for Men” courses. Ongoing mentoring and supervision (compulsory for the first six months at your cost) as you require it. Full administrative and organisational support with our admin and operations manager, Karen Kopp. Excellent use of social media and web promotion to support you in building your mindfulness training business. Opportunities for workplace mindfulness training. To facilitate 4 x one-hour evening introductory mindfulness courses. To find and book a suitable venue to provide the training (with guidelines from Mindfulness Works). Contract-based. You would be paid per course run. I would expect there to be initially a minimum of one course per month. To provide any one-on-one coaching/training that may arise from the courses. A full room of course participants (20 – 25 people). All training materials to distribute to the class. Full training on how to run this course with facilitator notes (in person or via Skype). There is no cost to you for this training. You would need to work with a Mindfulness Works approved mentor/supervisor for at least six months at your cost (approx $100 per month). You would be paid $450 – $500 (+ GST if any) per course you run. an extensive background in teaching mindfulness-based meditation in a group situation. If you don’t meet the above criteria but would like to learn to become a mindfulness trainer with either Mindfulness Works, another organisation or on your own, we recommend the training and pathway provided by the Mindfulness Training Institute of Australasia. if you are a sole-trader, you must already be trading and receiving income. Your relationship with Mindfulness Works Australia would be as an independent contractor. You would be fully responsible for your own tax and superannuation payments. AND you must have attended at least one silent meditation retreat of 7 days or longer.